In our local community, Juneau Whale Watch was one of the founding members of Alaska’s program: Whale SENSE. A voluntary education and recognition program offered to commercial whale watching companies in the U.S. Atlantic and Alaska Regions. The program is sponsored by NOAA Fisheries and Whale and Dolphin Conservation. 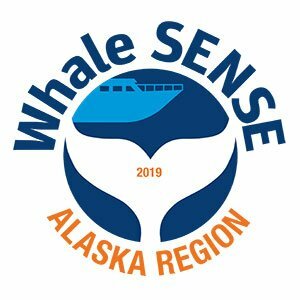 Developed in collaboration with the whale watching industry, Whale SENSE recognizes whale watching companies committed to responsible practices. Mindfully, we conduct our on-the-water activity in harmony with the whales. And as well, other marine life. We don’t wish to impede upon any feeding patterns. At the same time, we are raising awareness of these beautiful animals. The humpback whales in Juneau are among the most incredible ambassadors for Southeast Alaskan wildlife. Furthermore, they no longer feature on the endangered species list. Foremost, we wish to keep it that way!